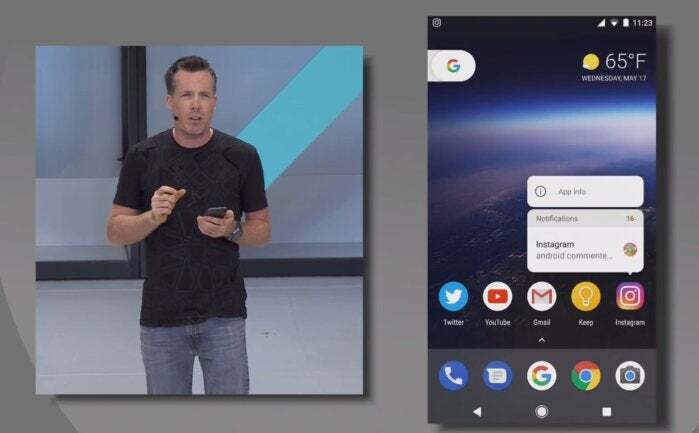 Android O has been available as a Developer’s Preview for a while now, but at the Google IO conference, Google took the wraps off some new features designed to make the next-gen version of Android more accessible, secure, and long-lasting. Let’s start with “Fluid Experiences,” or aesthetic design tweaks to the operating system. Android O actually adds some handy new features on this end, such as a “picture-in-picture” mode that minimizes an open app to a small window in the corner if you need to multitask. Who says you can’t multitask on phones? Another addition, “notification dots,” steals the look of iOS’s notification bubbles on home screen apps, but makes it more useful. A dot plopped on a home screen app means you have a notification from it; long-pressing the app’s icon will pop the notification details up right there, over the icon. Other Fluid Experiences take the hassle out of everyday tasks. 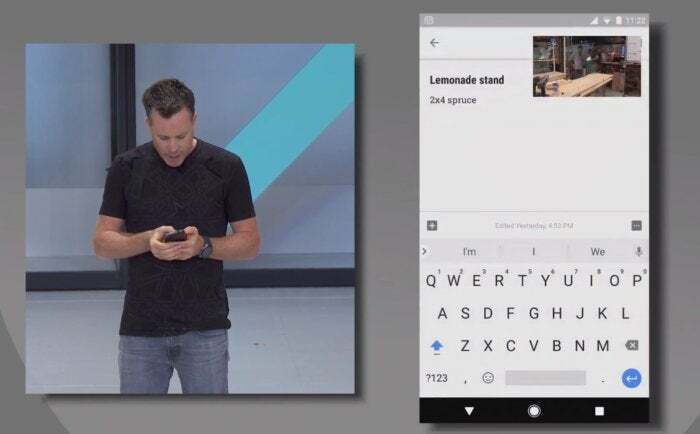 An opt-in autofill function taps into Chrome’s password saving feature to help you easily log into standalone apps, while a smart text selection feature uses on-device machine learning to automatically select the entire name or address you’re trying to select. Even better? Those smart selections come accompanied with relevant contextual actions, such as the option to call a selected phone number, or open an address in Maps. Google is also focusing on your device’s core health in Android O, via security enhancements and tweaks to the core operating system. 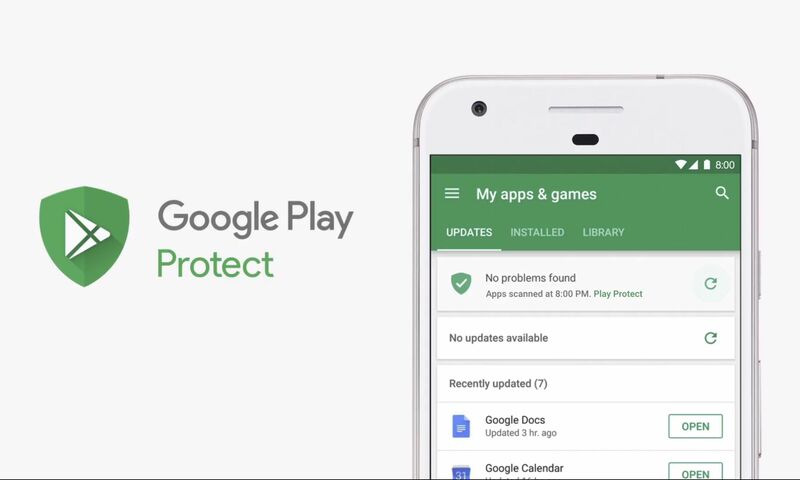 Most noticeably, all Android O devices that come with Google Play preinstalled will also ship with a new app called Google Play Protect. Think of it as a security hub for your phone, scanning your apps for malware and generally making sure your device stays secure. None of it is really new, per se, but it was all handled in the background before. Google Play Protect makes it obvious. Operating system optimizations also help Android O devices boot twice as fast as their predecessors, Google says, and apps load much faster as well. Google is also baking “wise limits” into Android O to tame apps that want to run wild in the background—saving your precious battery life. Finally, Android O marks the debut of a new initiative dubbed Android Go. Android Go is designed to run better on phones with limited hardware, in regions with limited Internet connectivity. 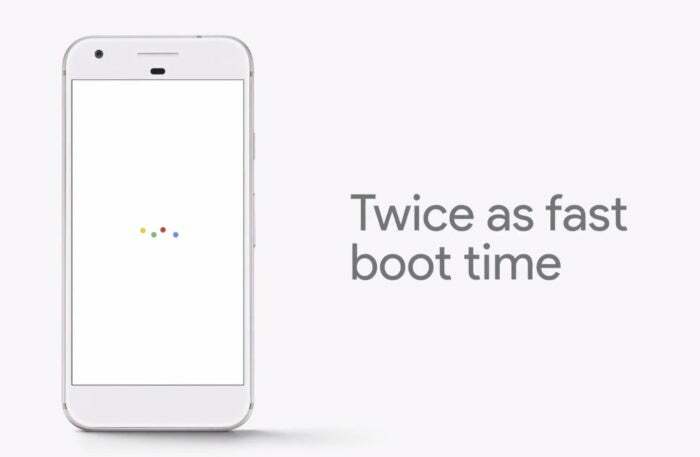 It features streamlined versions of Android and Google’s core apps, along with a self-contained version of the Play Store, and enables Google’s Data Saver feature by default. Look for it on phones with less than 1GB of memory. Curious? 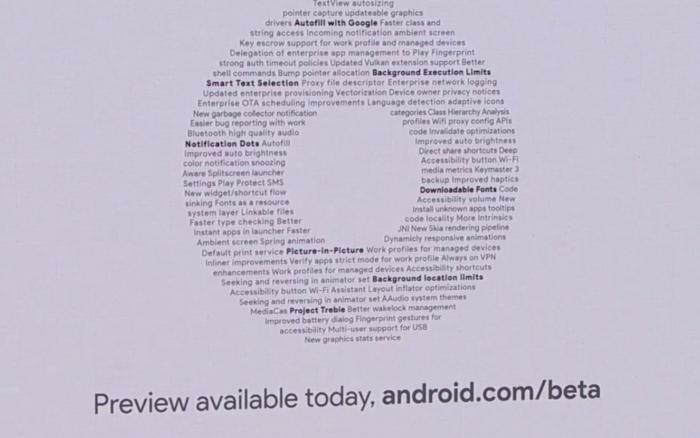 While Google didn’t reveal Android O’s launch date—or what the “O” stands for—the company is releasing a beta version of the Developer’s Preview today. If wrangling half-baked software isn’t your bag, check out Greenbot’s guide to the best new Android O features—or try to parse all the features listed to comprise the massive O in the image at the top of this page.